BOTTERILL, A. E., Private, 18th Middlesex Regt. He joined in February 1916, and later in the same year Was drafted to France. During his service on the Western Front he took part in much severe fighting in various sectors, particularly that of Ypres, and did consistently good work with his unit throughout. He was discharged in October 1918, and holds the General Service and Victory Medals. 43, Nynehead Street, New Cross, S.E.14. BOTTING, J., Corporal, R.G.A. He joined in February 1916, having previously worked at Woolwich Arsenal, where he was engaged on the production of munitions. After a short training he proceeded to France, and took part in the third Battle of Ypres, in which he was severely wounded. He was sent to hospital at Boulogne, and after his recovery rejoined his Battery and served on until the conclusion of hostilities. He was demobilised in March 1919, and holds the General Service and Victory Medals. 25, Jutland Road, Catford, S.E.6. BOTTON, H., Private, Buffs (East Kent Regiment). He volunteered in January 1915, but four months later was discharged as medically unfit for further service owing to ill-health. He then took up work of National importance and was engaged on munitions at the Arsenal and the Dockyards at Woolwich, where he rendered valuable services until after the cessation of hostilities. 19, Comet Street, Deptford, S.E.8. BOTWRIGHT, P. G., Private, 18th Essex Regiment. He joined in April 1916, and was engaged on important duties at various home stations. Eventually he proceeded to the Western Front, and took part in severe fighting, particularly on the Somme. He was in hospital at Etaples for some time with trench fever, and on his recovery was stationed at Abbeville until the cessation of hostilities. He holds the General Service and Victory Medals, and was demobilised in February 1919. BOULTER, E. J., Rifleman, K.R.R.C. He joined in June 1916, and proceeding to France shortly afterwards, was wounded on the Somme in November of the same year. Later he took part in the Battle of Arras, but was reported missing on September 20th, 1917, after heavy fighting at Langemarck. He is now presumed to have been killed in action on that date and was entitled to the General Service and Victory Medals. "Nobly striving, he nobly fell that we might live." 24, Hickisson Road, Peckham, S.E.15. BOULTER, J. J. C., Rifleman, K.R.R.C. He joined in July 1916, and on completion of his training was drafted to the Western Front, where he rendered valuable services as a signaller. He took part in the Battles of Arras, Ypres, and the Somme, and was gassed in action during the Advance in September 1918. He also suffered severely from trench feet, and was eventually demobilised in November 1919, holding the General Service and Victory Medals. BOULTER, W. Rifleman, 21st London Regt. 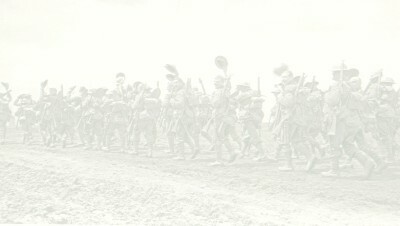 (1st Surrey Rifles). Volunteering in August 1914, he was drafted to France at the beginning of March 1915, and played a prominent part in the Battles of St. Eloi, Ypres, Festubert, Loos, Givenchy, Albert, the Somme and Vimy Ridge. Whilst out at rest prior to coming home on leave he was unfortunately killed on January 10th, 1917, during an enemy air-raid on a dump, where he was on guard duty. He was entitled to the 1914-15 Star, and the General Service and Victory Medals. "The path of duty was the way to glory." 24, Devonshire Street, Peckham, S.E.15..
BOULTER, W. C. Pte., 7th Q.O. (R.West Kent Rgt.) He volunteered in August 1914, and proceeded to the Western Front in the following April. There he took part in the Battles of Loos and the Somme, and was badly wounded in July 1916, being invalided home. In March 1917 however, he returned to France and fought at Messines and Ypres (III), but in November of the same year was sent to Italy, and served on the Piave for five months. He was then again transferred to the Western Front, and Was twice wounded at Arras in May and July 1918, and on the second occasion was once more sent to hospital in England. He holds the 1914-15 Star, and the General Service and Victory Medals, and was demobilised in January 1919. 23, Douglas Street, Deptford, S.E.8. BOULTON, E. A., Corporal, R.A.V.C. He joined in June 1916, and was shortly afterwards drafted to Mesopotamia, where he took part in much heavy fighting at Kut, Baghdad and Mosul. After hostilities ceased he was transferred to India, and was in action during the Afghanistan risings on the North West Frontier. He returned home and was demobilised in September 1919, and holds the General Service and Victory Medals, and the India General Service Medal (with clasp, Afghanistan, N.W. Frontier, 1919). BOULTON, H. S., Private, 6th Middlesex Regiment. He volunteered in November 1915, and after his training was engaged on important duties at various stations with his unit. Owing to medical unfitness he was unable to secure his transfer to a theatre of war, and in December 1916, was discharged. Afterwards, however, he obtained work of National importance at the Royal Arsenal, Woolwich, and rendered valuable assistance in connection with the output of munitions until the close of the war. 53, Henslowe Road, East Dulwich, S.E.22. BOUNE, H., Rifleman, K.R.R.C. Joining in January 1917, he was drafted overseas in the following May. During his service on the Western Front he took part in heavy fighting on the Somme, at Ploegsteert and Messines, where he was wounded in July 1917. In consequence he was invalided to the Base, and finally discharged in April 1919 as medically unfit for further service. He holds the General Service and Victory Medals. 12, Florence Street, New Cross, S.E.14. BOURNE, A. (Mrs.), Special War Worker. During the war this lady held a responsible position at Woolwich Arsenal as an overseer in the Fuse Department. She carried out her important duties with efficiency, and rendered valuable services from August 1916 until February 1919, when she resigned her post, owing to the cessation of hostilities. 8, Linthrop Road, Greenwich, S.E.10. BOURNE, E. (Miss), Special War Worker. During the war this lady rendered very valuable services at King's Norton Abbey Wood Munition Works, where she was engaged from April 1915, until August 1917 on dangerous duties in the Cordite Department. She then went to Messrs. Siemens and Company, and acted as driver of the Cable machine, but was discharged from there owing to the cessation of hostilities in December 1918. Subsequently she held a responsible position at the Army Pay Office at Blackheath as Clerk on night duty for over six months. She did excellent work throughout, and her services were highly appreciated in each appointment. 8, Lenthrop Road, Greenwich, S.E.10. BOURNE, E. G. (M.M. ), Sergt., R.F.A. Mobilised at the commencement of hostilities he was drafted with his Battery to France, and fought in the Retreat from Mons. He also served with distinction in many other engagements, including those at Ypres, Neuve Chapelle, Hill 60. Loos, Armentieres, Vimy Ridge, the Somme, Arras, Passchendaele and Cambrai, and was awarded the Military Medal for conspicuous gallantry in saving two wounded men under heavy shell-fire in 1917. He was twice wounded during his service overseas, but after treatment was able to rejoin his unit. In January 1919 he was demobilised, and holds in addition to the Military Medal, the Mons Star, and the General Service and Victory Medals. 16, Woodland Grove, Greenwich, S.E.10. BOURNE, E. W., Sergt. R.A.S.C. Volunteering on the outbreak of war, he completed his training and served at various stations on important duties with his unit. He rendered valuable services, and in January 1916 was drafted overseas. Serving on the Western Front, he played a prominent part in the first Battle of the Somme and in many subsequent engagements. He did much good work during the Retreat and Advance of 1918, and on the signing of the Armistice, proceeded with the Army of occupation into Germany. He returned to England on the completion of duty, and was demobilised in July 1919, holding the General Service and Victory Medals. BOURNE, F., Leading Stoker, R.N. Already in the Navy when war broke out he saw service during the coarse of hostilities in H.M.S. "Blenheim " and 'Myosotis." He was engaged in convoy and patrol work in the North Sea, and also took part in the Naval operations during the Gallipoli campaign. On one occasion his ship was blown up off the coast of Ireland, but fortunately he was saved. He holds the 1914-15 Star. and the General Service and Victory Medals, and in 1920 was still serving. 72 Church Street, Greenwich, S.E.10. BOURNE, J. A. G., L/Corporal, Northamptonshire Regiment and Private, Essex Regiment. He joined in February 1917, and in January of the following year was drafted to France, where he took part in numerous engagements during the Retreat and Advance of 1918, and was wounded. He was invalided home, and after a period in hospital. was discharged as medically unfit for further service in 1919, holding the General Service and Victory Medals. 5, Ladywell Park, Lewisham, S.E.13.